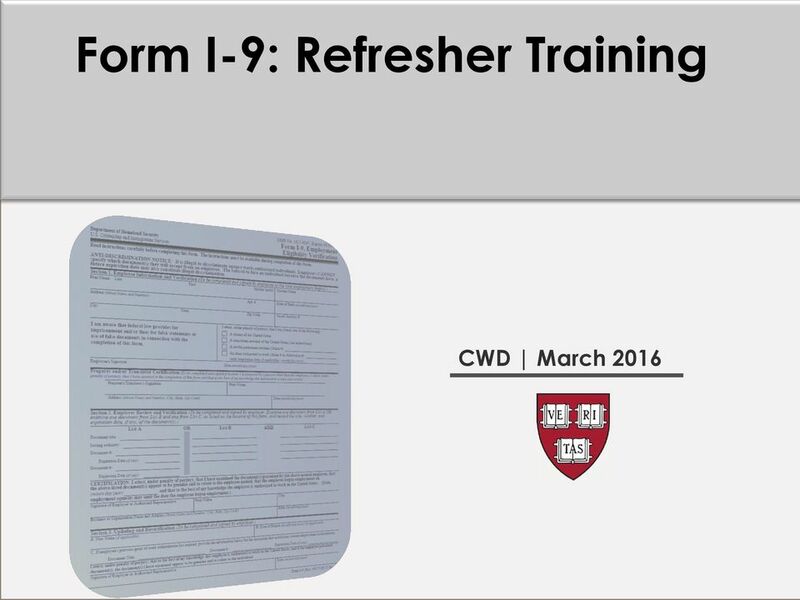 Download "Form I-9: Refresher Training. 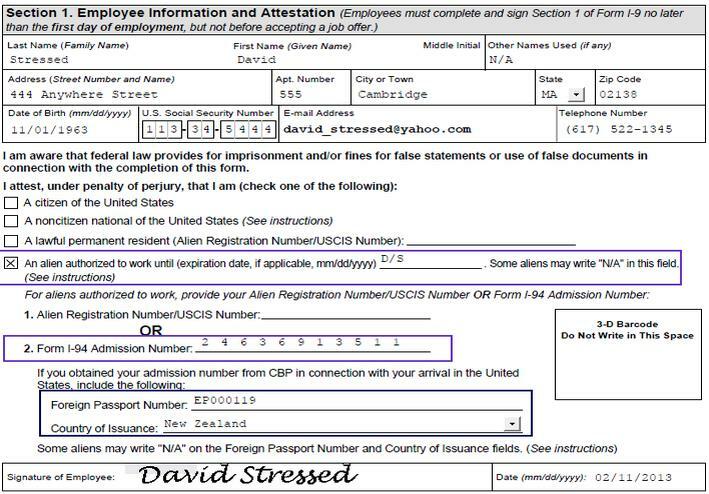 CWD March 2016"
3 I Form I-9 Full Title: Form I-9, Employment Eligibility Verification Purpose: completed by all newly hired employees in order to verify their identity and authorization to work in the United States. 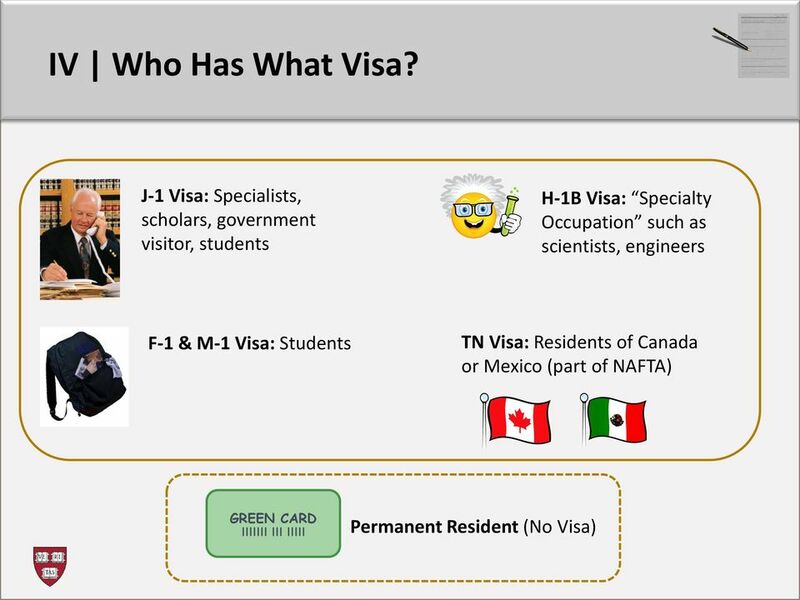 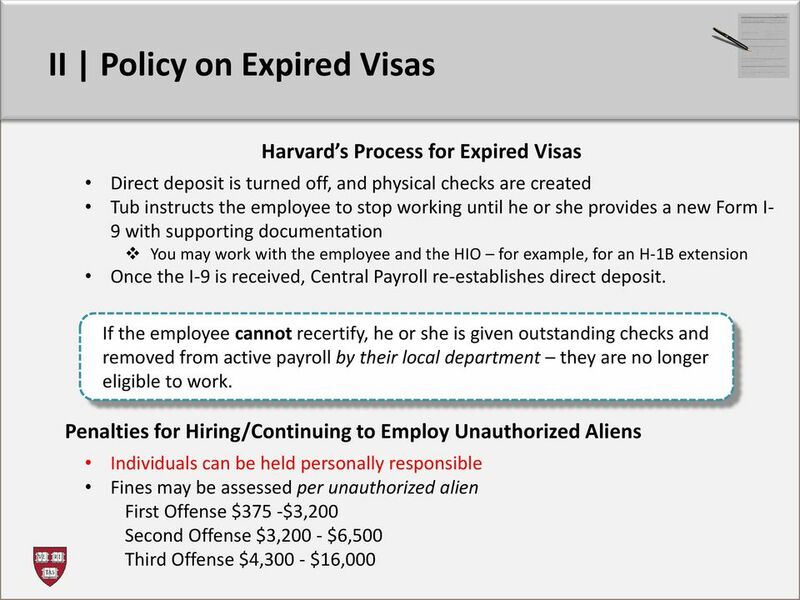 Affects: US Citizens and Non-US Citizens working in the US New Hires Rehires (non-us Citizens only) any status change, such as from an H1-B Visa to Permanent Resident Issued By: Department of Homeland Security (DHS), U.S. 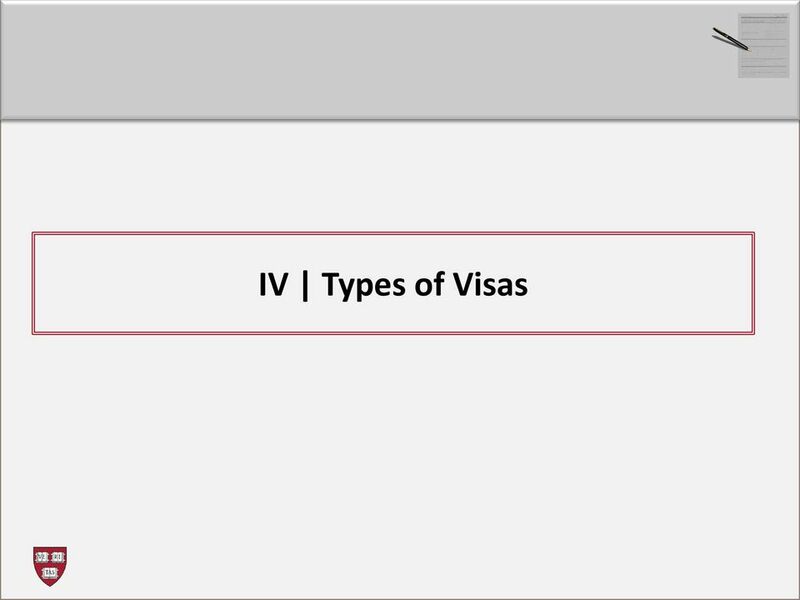 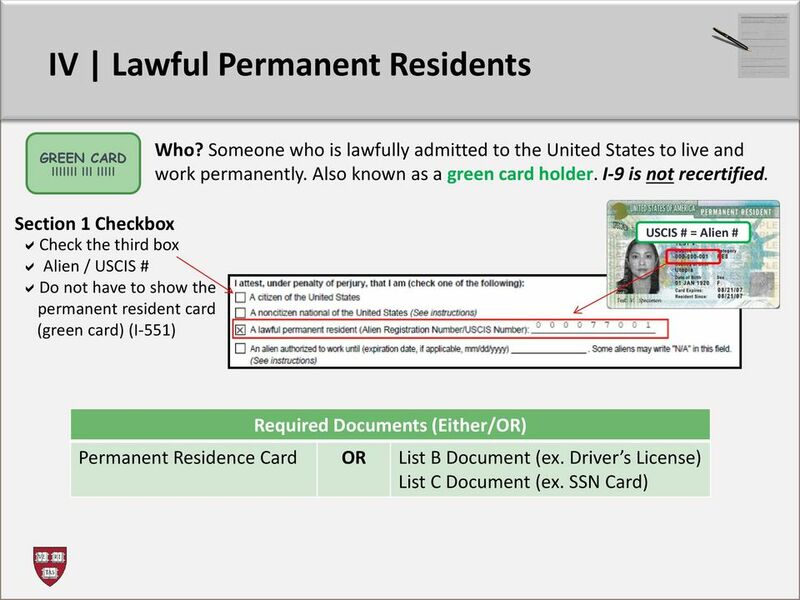 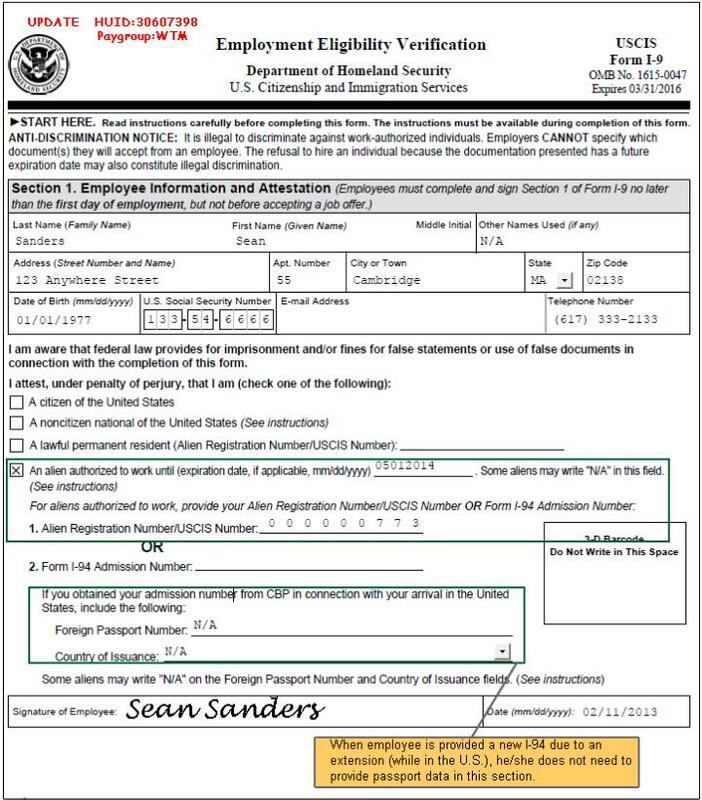 Citizenship and Immigration Services (USCIS) NEW: Recently revised as of 3/8/2013 can use old form up until May 7, 2013 will be rejected if used after that date. 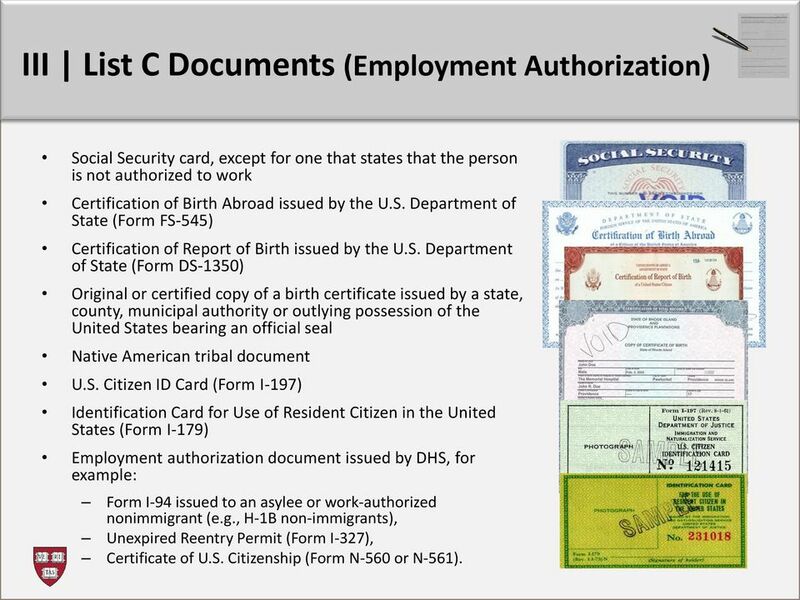 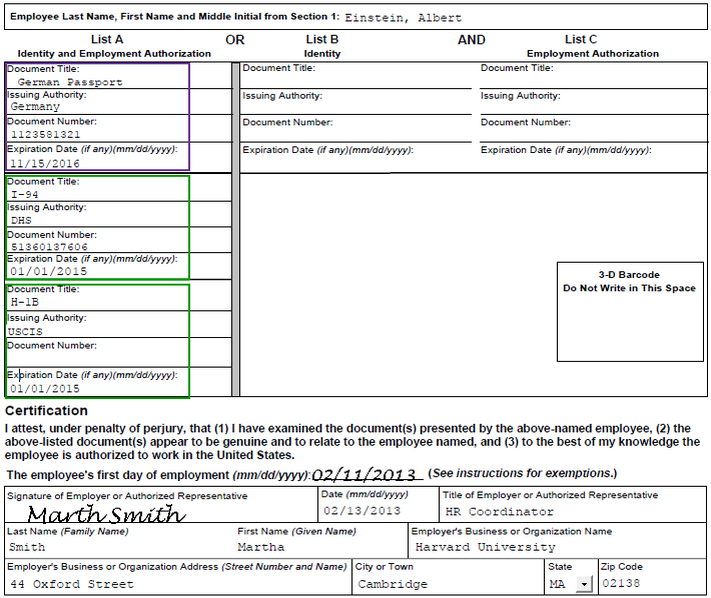 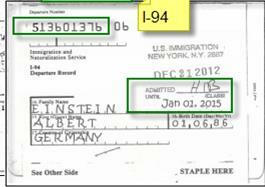 15 III List C Documents (Employment Authorization) Social Security card, except for one that states that the person is not authorized to work Certification of Birth Abroad issued by the U.S. Department of State (Form FS-545) Certification of Report of Birth issued by the U.S. Department of State (Form DS-1350) Original or certified copy of a birth certificate issued by a state, county, municipal authority or outlying possession of the United States bearing an official seal Native American tribal document U.S. Citizen ID Card (Form I-197) Identification Card for Use of Resident Citizen in the United States (Form I-179) Employment authorization document issued by DHS, for example: Form I-94 issued to an asylee or work-authorized nonimmigrant (e.g., H-1B non-immigrants), Unexpired Reentry Permit (Form I-327), Certificate of U.S. 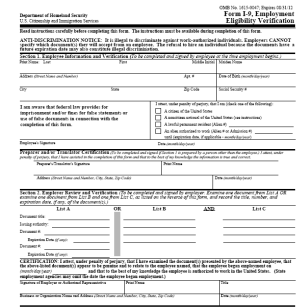 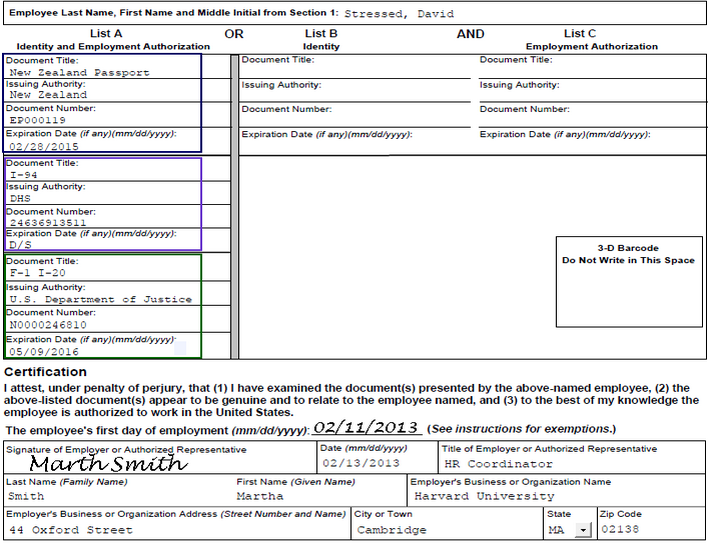 Citizenship (Form N-560 or N-561). 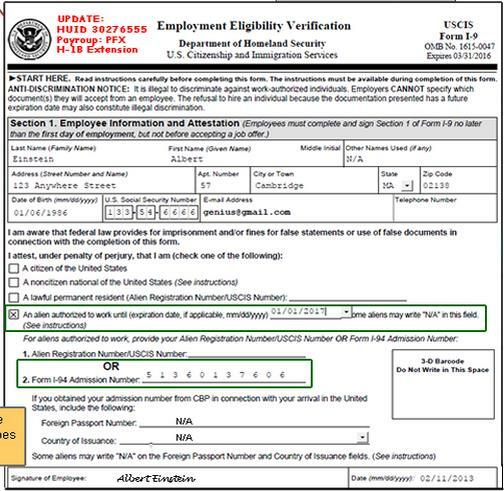 16 III FAQ s Question May I specify which documents I will accept for verification? 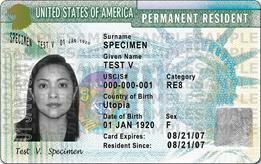 May I accept expired documents? 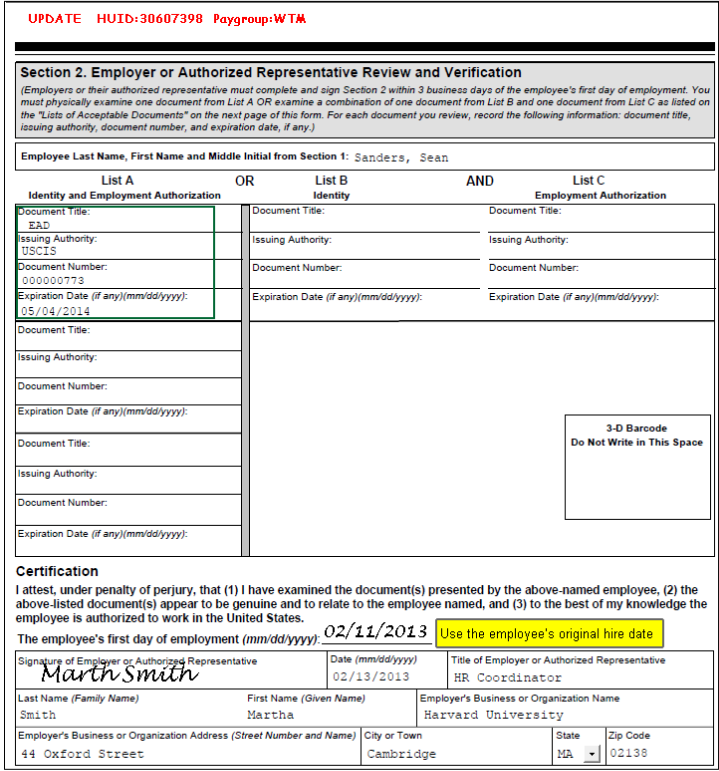 May I accept Social Security Administration printouts that contain the employee s name, SSN, Date or Birth, and parent s names instead of a Social Security Card? 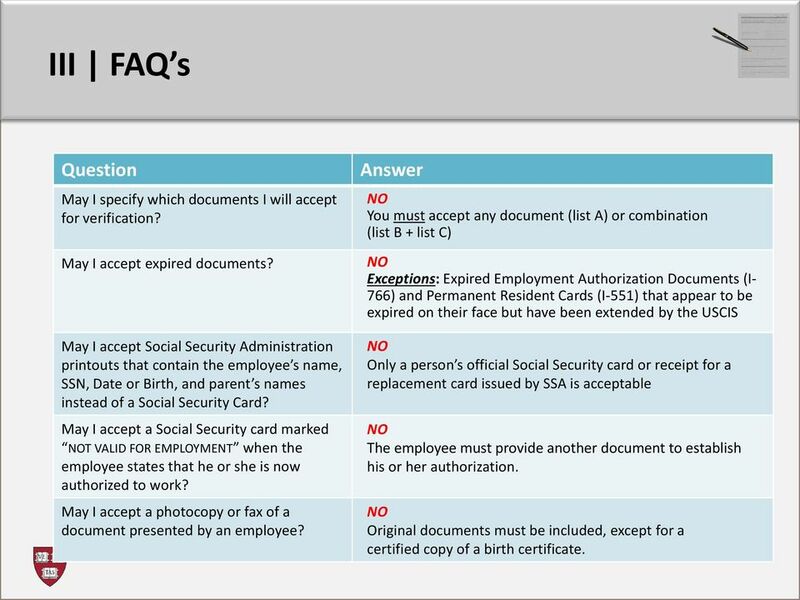 May I accept a Social Security card marked NOT VALID FOR EMPLOYMENT when the employee states that he or she is now authorized to work? 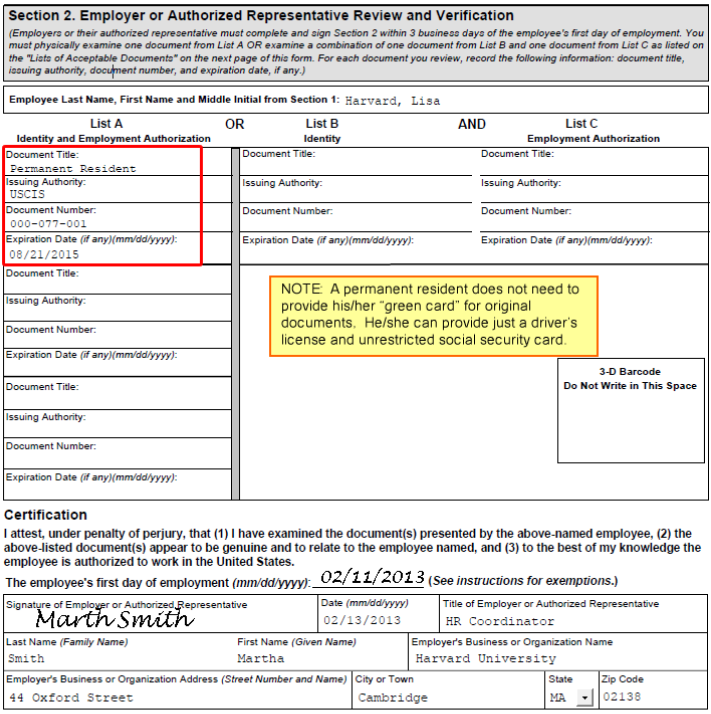 May I accept a photocopy or fax of a document presented by an employee? 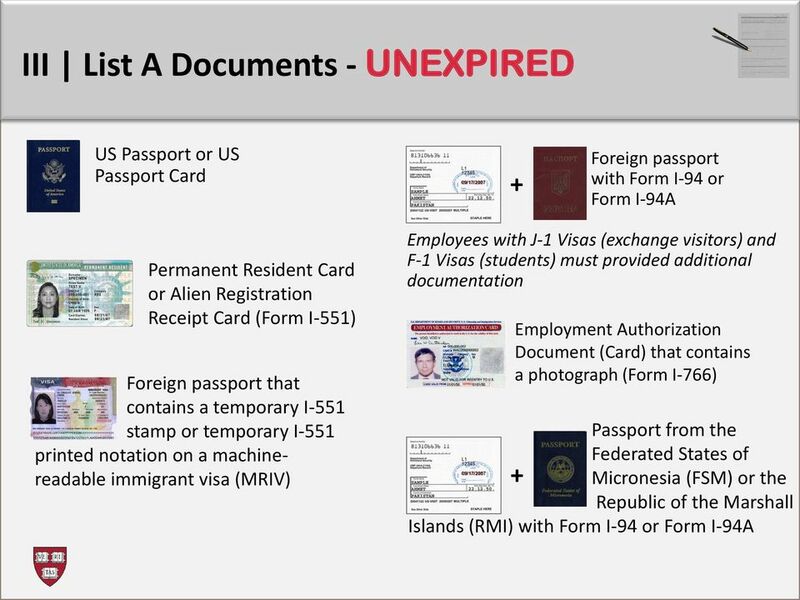 Answer NO You must accept any document (list A) or combination (list B + list C) NO Exceptions: Expired Employment Authorization Documents (I- 766) and Permanent Resident Cards (I-551) that appear to be expired on their face but have been extended by the USCIS NO Only a person s official Social Security card or receipt for a replacement card issued by SSA is acceptable NO The employee must provide another document to establish his or her authorization. 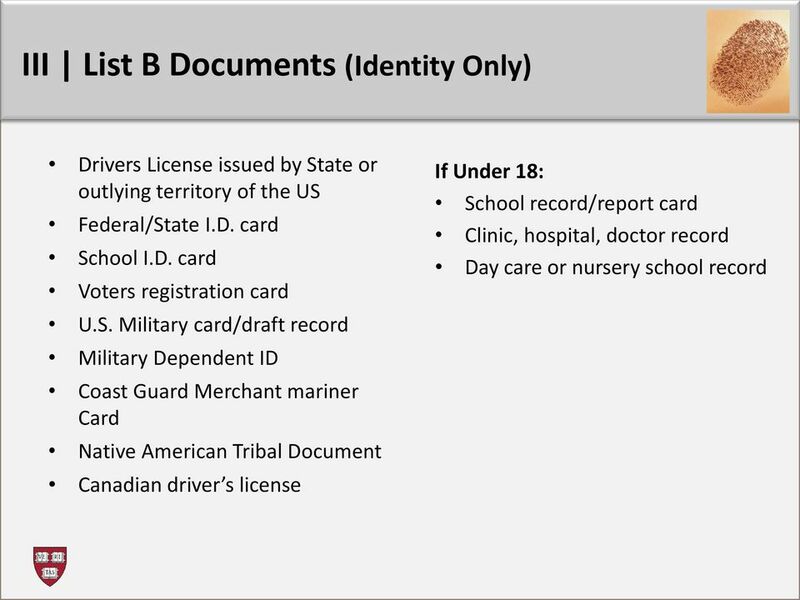 NO Original documents must be included, except for a certified copy of a birth certificate. 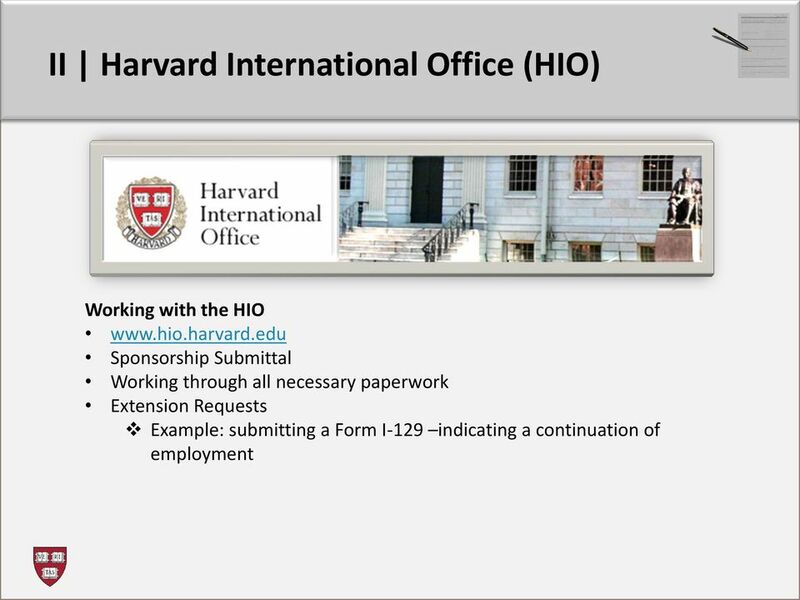 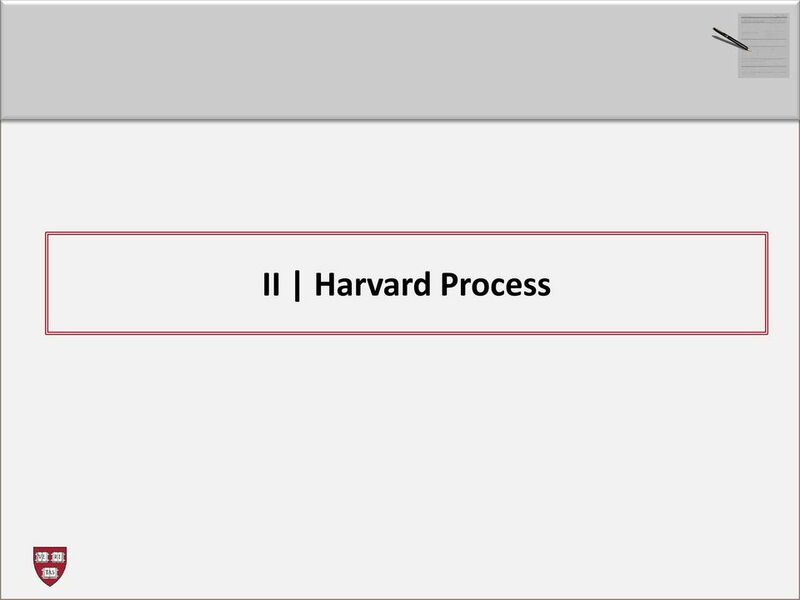 31 V GLACIER For payments made to a foreign national, Harvard University utilizes a third-party system, called GLACIER Online Tax Compliance System, to calculate the tax withholding. 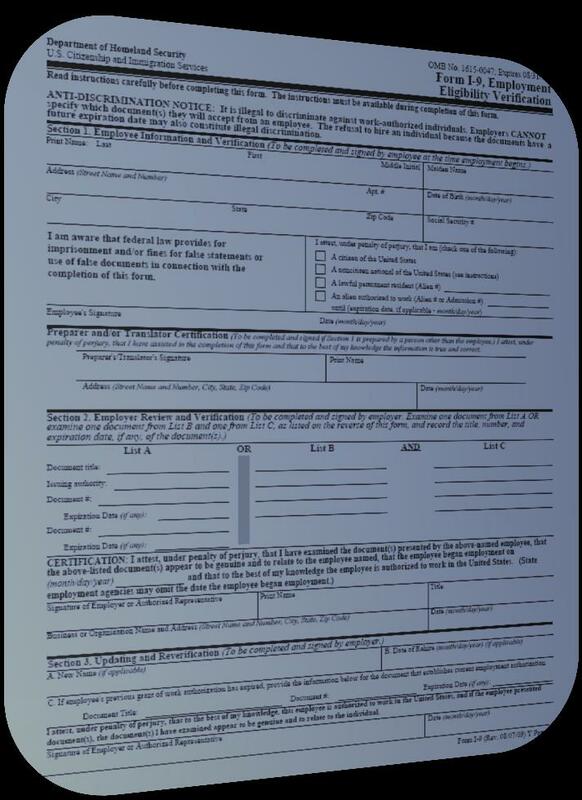 Read instructions carefully before completing this form. 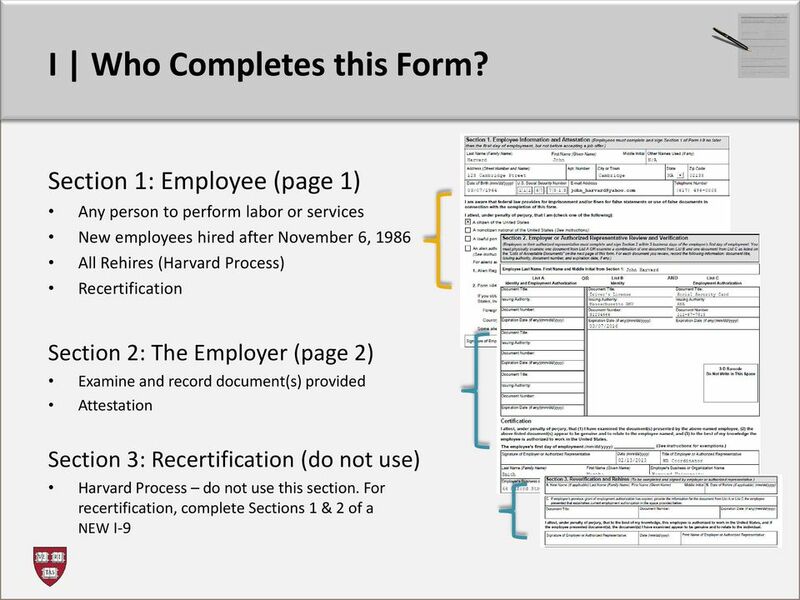 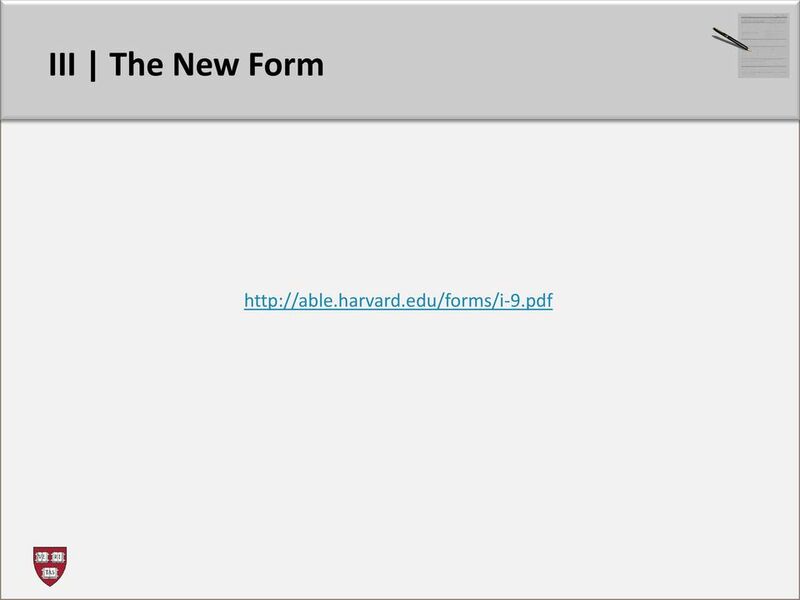 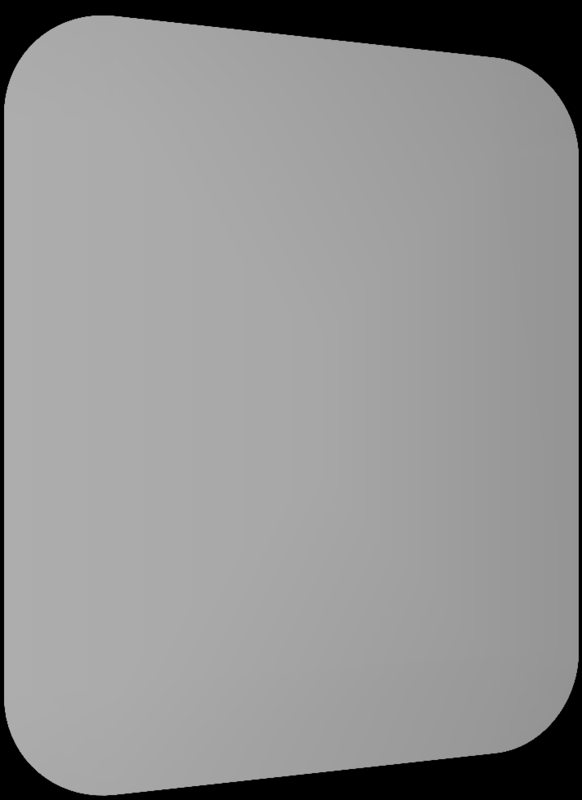 The instructions must be available during completion of this form. 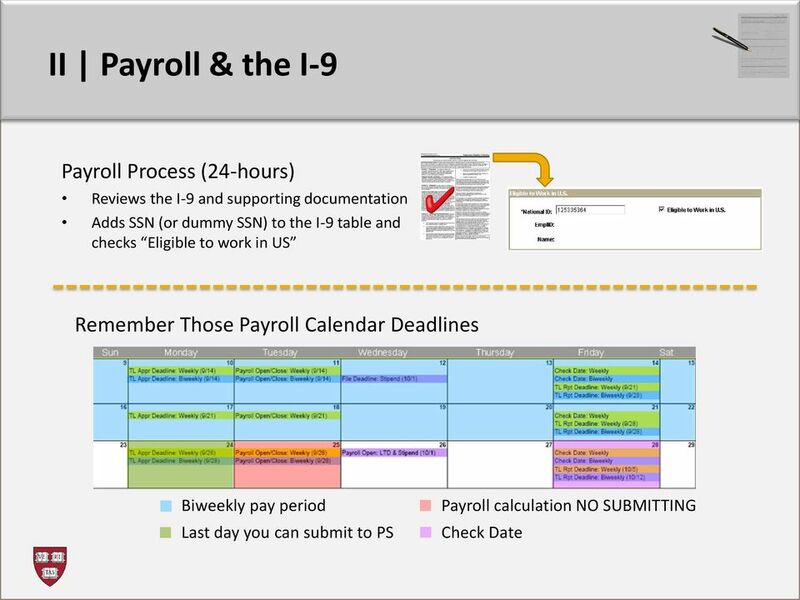 If you have any questions, please do not hesitate to contact your Payroll Specialist. 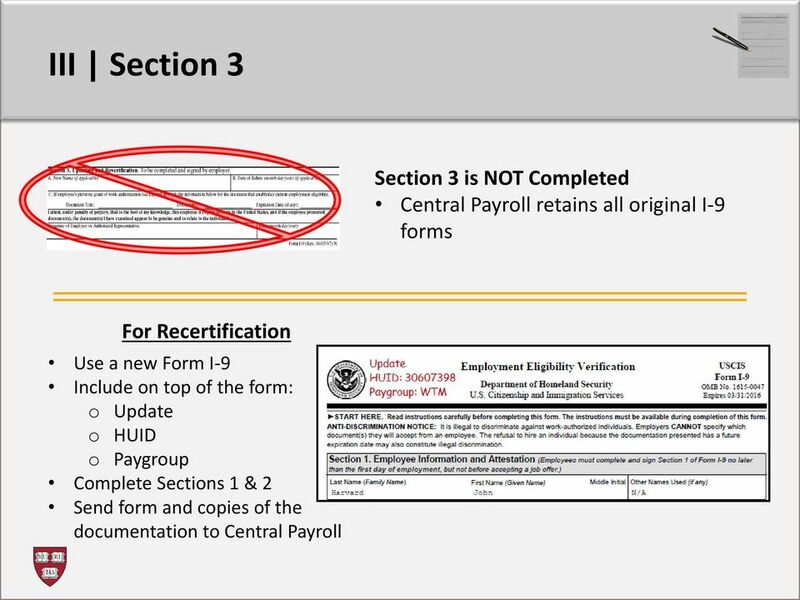 Form I-9 Instructions IMPORTANT: PPL will not be able to process your timesheets for payment until you have completed this form correctly. 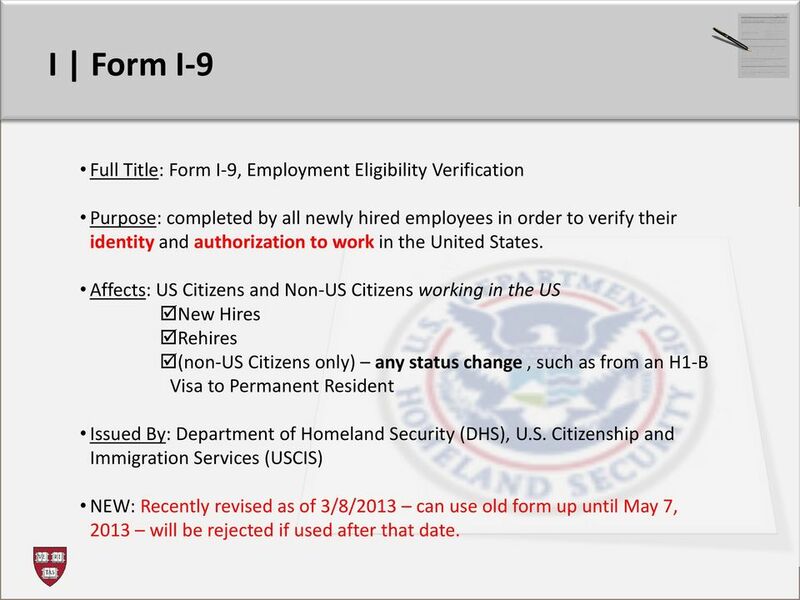 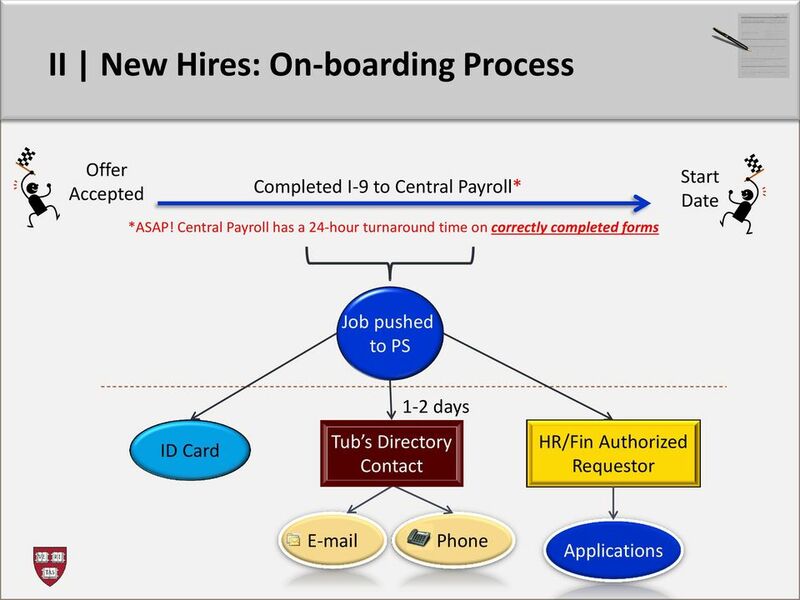 Form I-9, Employment Eligibility Verification Carol Gentry - Human Resources April 2016 Objectives Understand the purpose of an I-9. 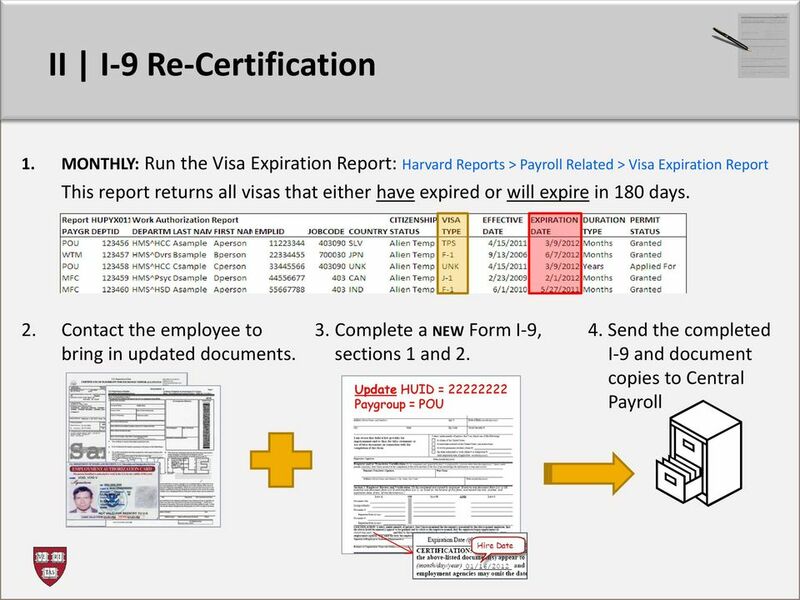 Be able to properly complete and verify information on an I-9 form. 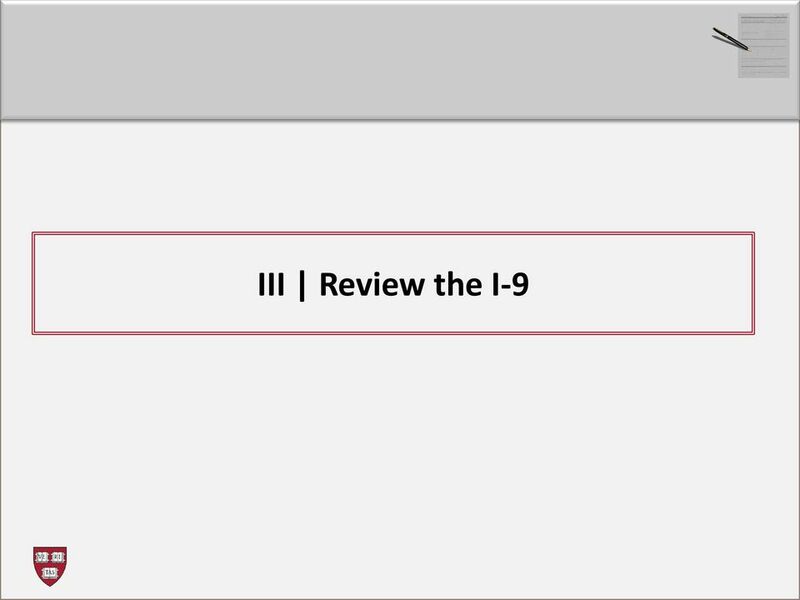 Are You Ready For An I-9 Audit? 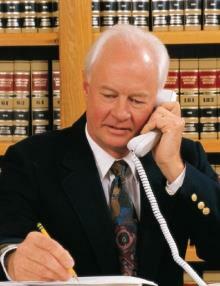 Debra J.C. Dowd, Esq. 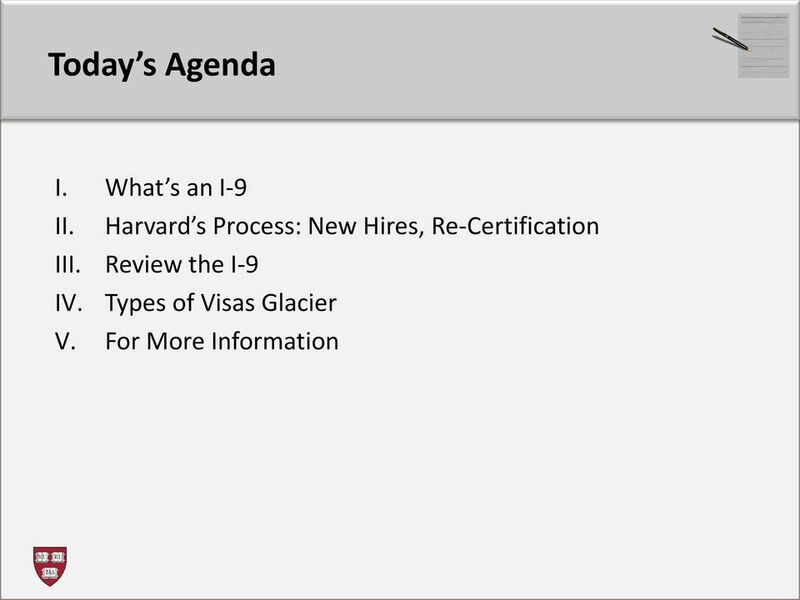 LeClairRyan, A Professional Corporation 2014 LeClairRyan, A Professional Corporation Today s presenter and some notes... Debra Dowd Richmond Welcome.